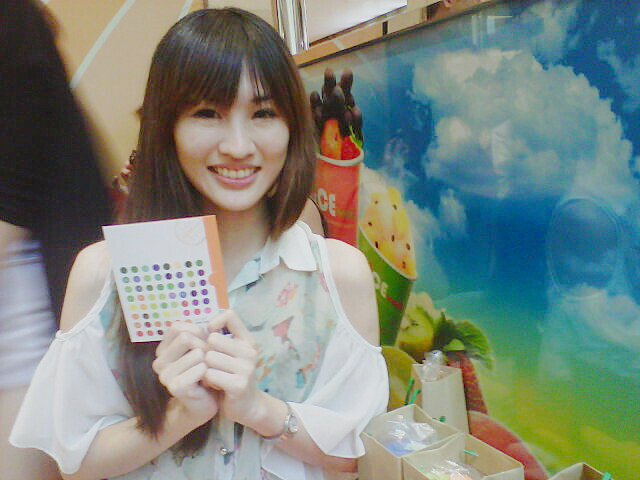 A very special thanks to Ben Dan and Kian Fai for giving me a chance to attend this Nuffie Event. Thank you Nuffnang for giving me a chance to be here as well. To be honest, this is my virgin Nuffie event and obviously, I was very excited about it. The post is quite long, so stay tune. 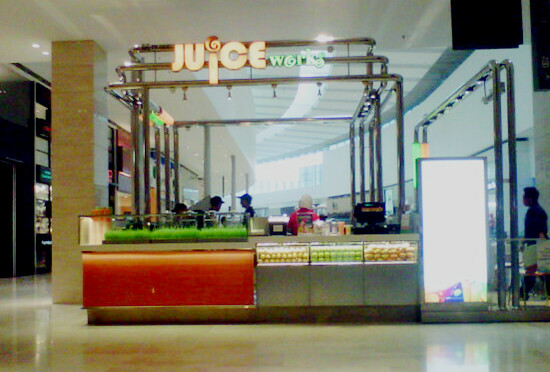 Juice Works @ Pavilion is located at the 6th floor, in between TIMES book store and Starbucks. It's simple yet colorful design attracts me the most. There are only two sizes, Midi and Power one. The tumbler is cute isn't it? 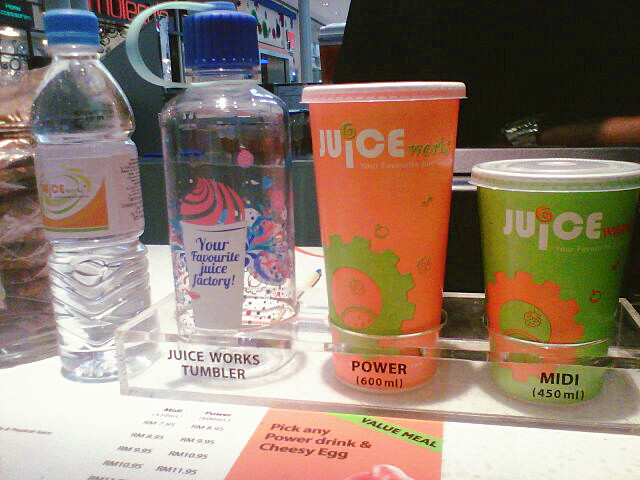 The signature design on the tumbler makes Juice Works stands out from the others. I can use the tumbler to anywhere I go leh, save my money to buy drinks from convenient stores. This is just plain awesome. I love the whole idea of wrapping the floss and vegetables. 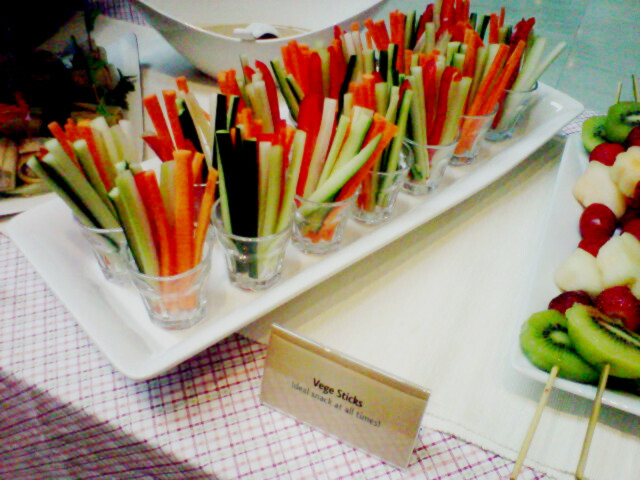 We have celery and carrot sticks here. They were raw and I skipped them. Celery is just not my type of vegetable. I tried this and I have to say the cherry tomato and strawberry were too sour. But I am impressed with the sweet kiwi, I always ate the sour one but this piece of kiwi is sweet. Colours! Aren't the colours originated from the fruits and vegetables? 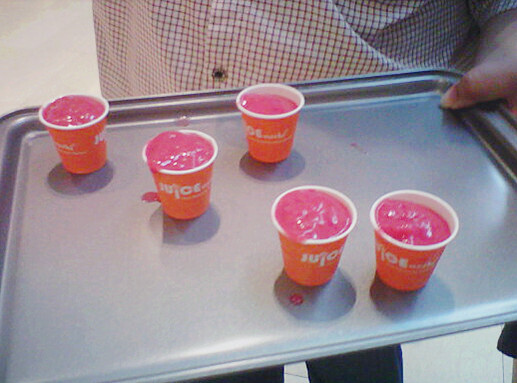 We were served with 5 different types of fruit juices. 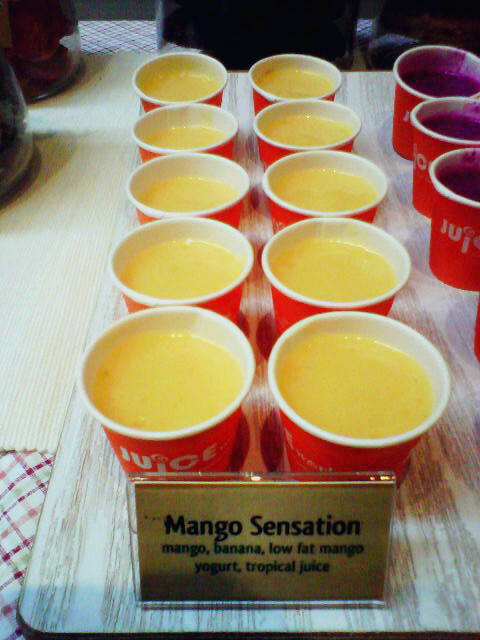 I love how the yogurt taste blended well with the rest of the fruits. The smoothies kinda feel is awesome! This is my favourite among all! 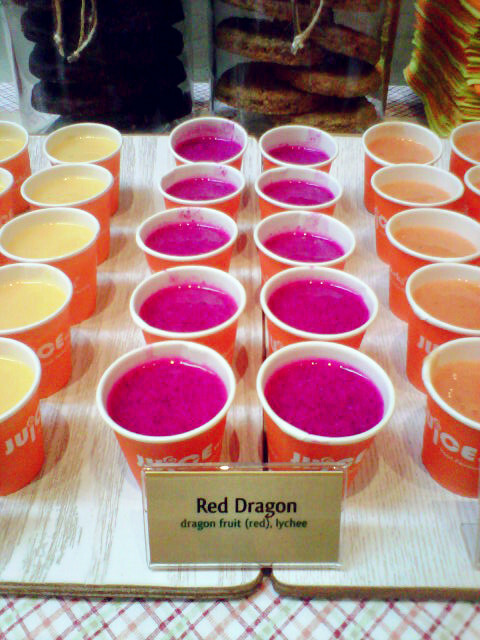 I can't tell you how much I hate dragon fruit but with this, I started to fall in love with dragon fruit. Using lychee to smooth the taste of dragon fruit is the greatest idea ever. If you are a sour food lover, you must love this. 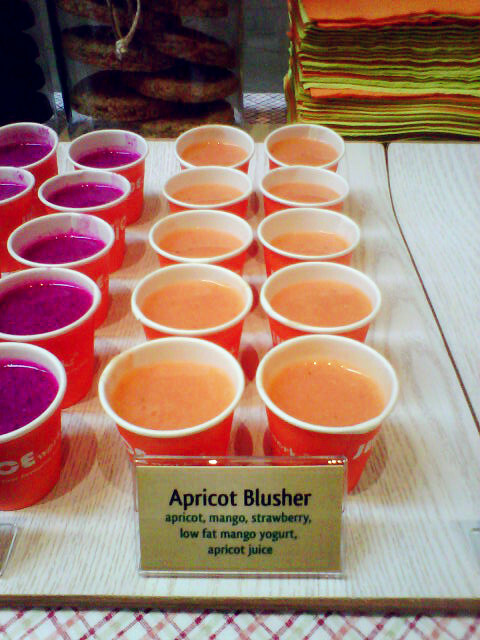 The taste of strawberry blended so well with the apricot and you just couldn't hate the apricot taste. 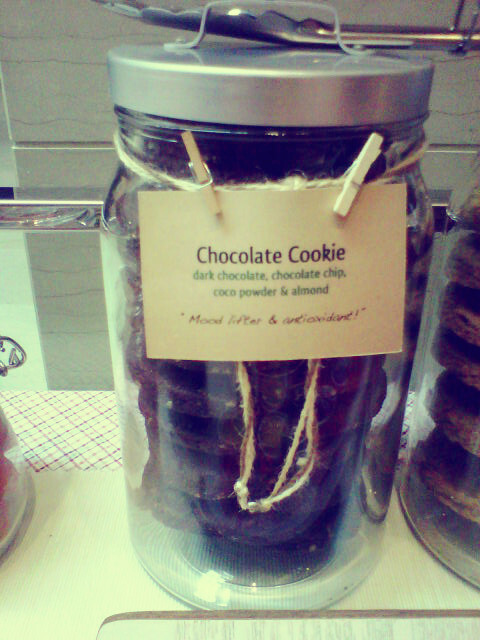 Fruit Works doesn't only sell drinks, they also sell cookies! 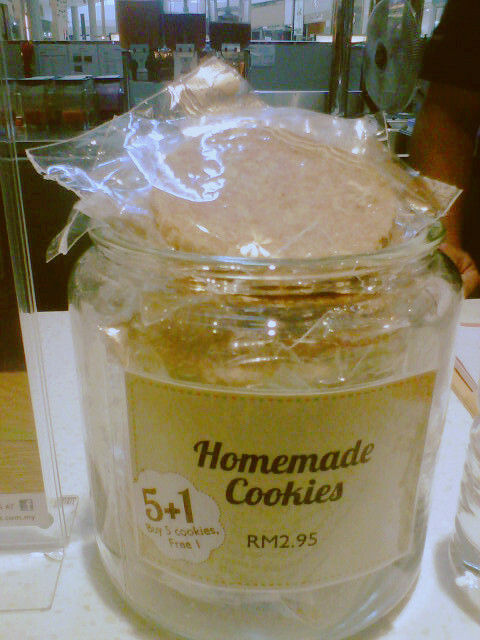 The cookies are cheap and worth to buy weh! It's a size of a palm and it's only RM 2.95 each. The buy 5 free 1 promotion is really tempting. I will be back! I tried the chocolate one because I think it will taste better than the Ginger one. The pistachio in Ginger cookies must have been feeling sad because I didn't eat them. 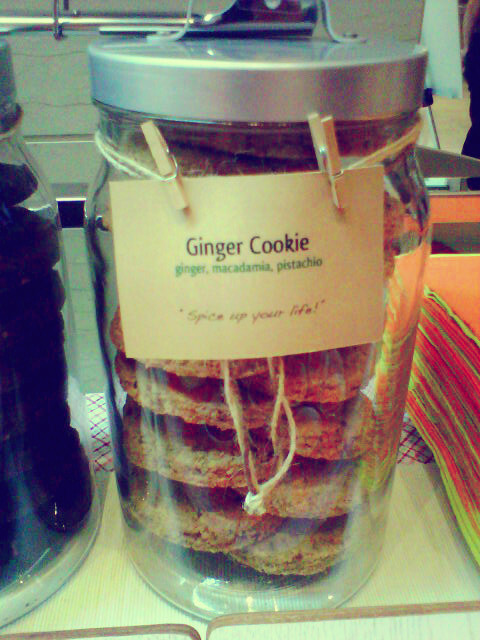 No worries, I will eat you soon, Ginger Cookies. It is slight harder than the usual cookie. I expect them to be a little crunchie. However it tasted really nice. I love it. 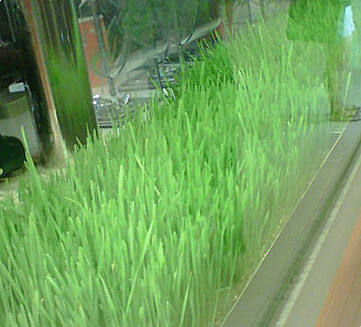 These grasses you are seeing now are real. As in, they are living things, they can breathe. 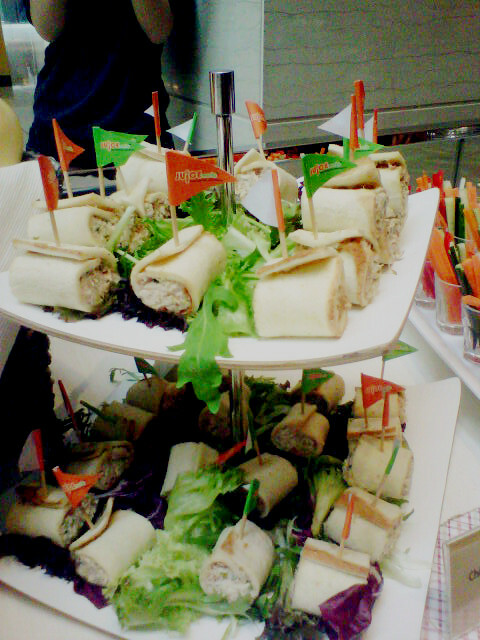 Most of us thought it was just a decorative items but after we being served with a shot of wheatgrass drink, we were told that it was picked from the "decorative" grass. Oh yes, this green little shot was from the grasses you see above. Well, you are not suppose to sip it, because it is serves in shot. So take the whole shot and quickly eat the orange given to you. You wouldn't want the horrible taste to linger in your mouth, I assure you that. Well the horrible taste I was saying is not really like bittercout, but it's more like you are drinking a shot of grass. I qoute this from the founder, "Unless you are a cow, I can't really see how you would love the taste". 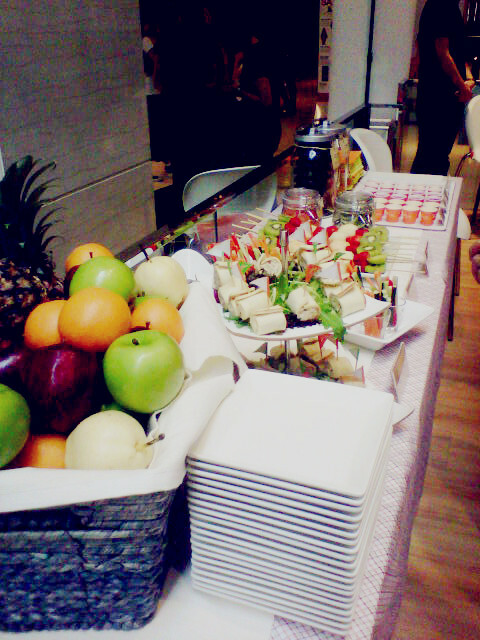 Nevertheless, she told us one shot of wheatgrass is equivalent to 1kg of fruits and vegetables. Impressive, isn't it? 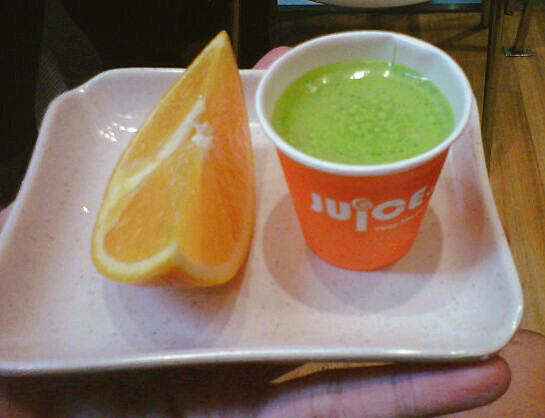 Meat lovers like me do need a wheatgrass shot to detoxify the body. There is also a reminder for people who have low blood pressure, after a shot of wheatgrass might cause you to feel slight uneasiness, such as dizziness. Be not afraid, there is nothing wrong with the drink. The other function of the wheatgrass drink is to decrease you high blood pressure, therefore those with low blood pressure might have "double low blood pressure". 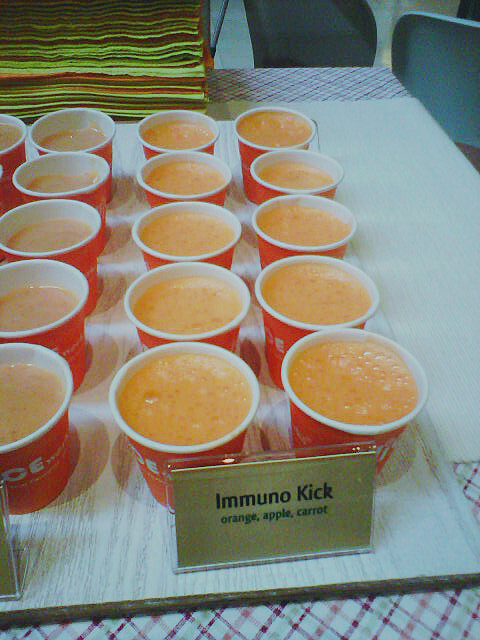 Another kind reminder too, the founder also said a shot of wheatgrass a day helps to keep the pimples away. Isn't this the most wonderful things in the world? Spend not more than RM10 everyday and the pimples will "siam" from you every now and then. 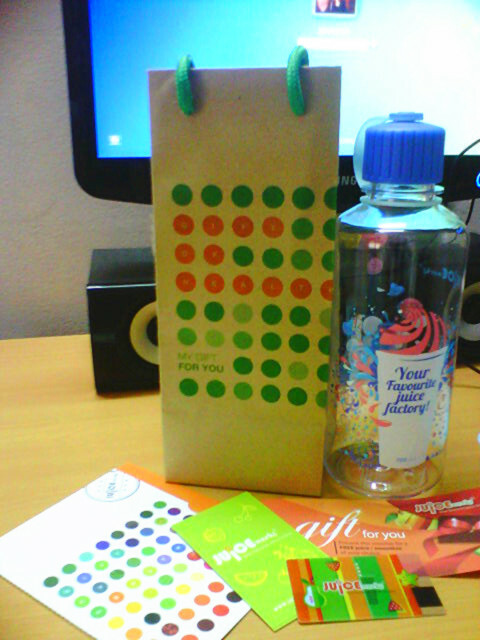 We won the small competition and each of us given a RM 10 voucher! The rest of the teams also got rewarded with consolation prizes. 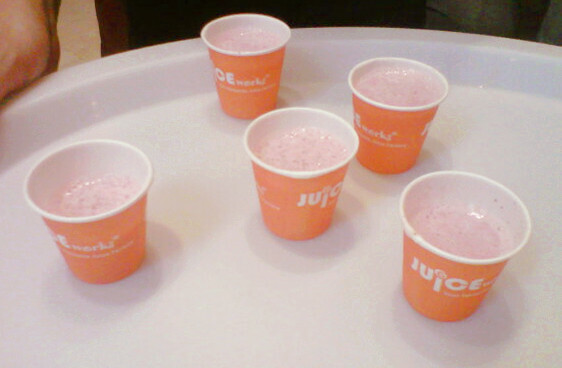 The founder then introduced us their high fibre fruit juice, the mixture of banana and strawberry. Surprisingly it tasted nice and not sourish. 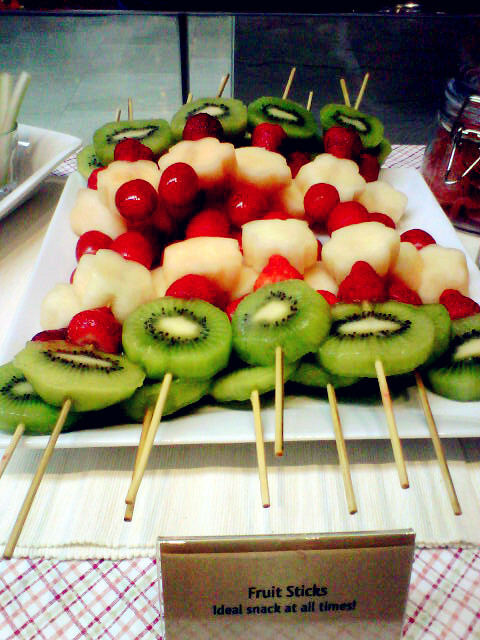 A tips: high fibre fruits help you to poop easily! Unwrap the goodie bag time! 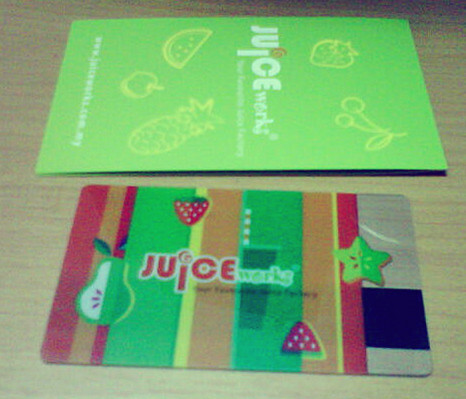 Thank you Juice Works, I love your mini membership card. It is adorable! Today, i detoxified myself to be a clean FurFer. Thanks to Juice Works, I feel myself lighter 1kg. 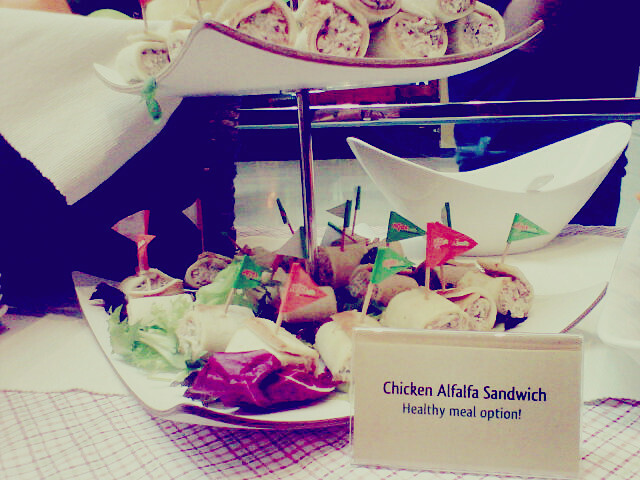 P/S: I just can't describe how happy I am to know new friends and be part in Nuffnang's event. Thank you for this opportunity! More to come ya? hope to meet u soon -__-. was suppose to be there also but had to last minute backed out cause of somethings i need to do. hehe. I have got nth to do for the whole day ma. seems like plenty of healthy drinks there! 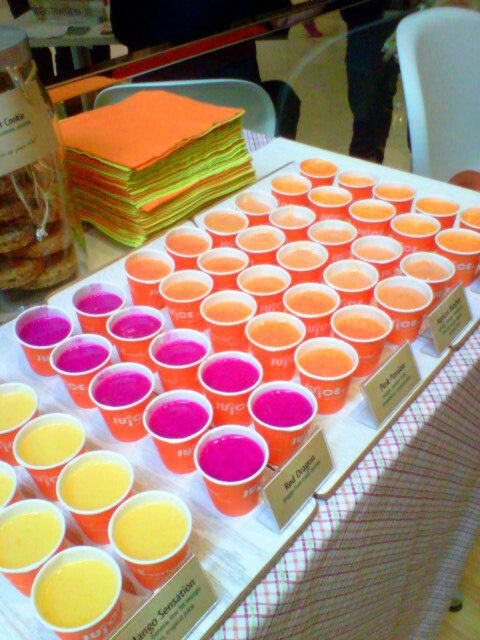 hope u'll enjoy more Nuffnang's events in the future! Fun times. Nice meeting you. Wow so fast and so detail. Good one!! thank you XD. nice meeting you also nia. Wow, you have a rating for almost every single thing! That's cool. Gay subtitles of a pirated copy of "The Departed"